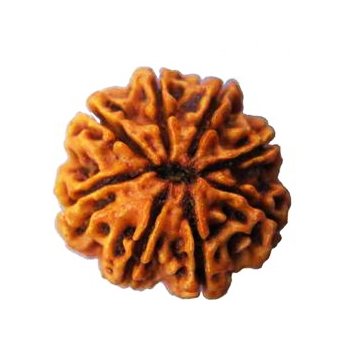 Eight (8) mukhi rudraksha beads improves intelligence and health, gives analytical mind and good writing skills. It is great rudraksha to have for artists as it brings in perfection in their art and give them fame. Cures depression and diseases of nervous system, gall bladder. It removes malefic effects of Rahu and Satern.